French orchestral music at Brighton Dome from the early twentieth century, the first night of the London Philharmonic Orchestra’s 2015/6 residency at Brighton Dome. Claude Debussy worked on La Mer whilst at Eastbourne, nearby to Brighton along the coast of the English Channel. The London Philharmonic Orchestra and Robin Ticciati gave us a spirited and stormy account consistent with today’s weather: evocative of sharp showers and low visibility on the Channel rather than the grandeur, majesty and depths of the oceans. 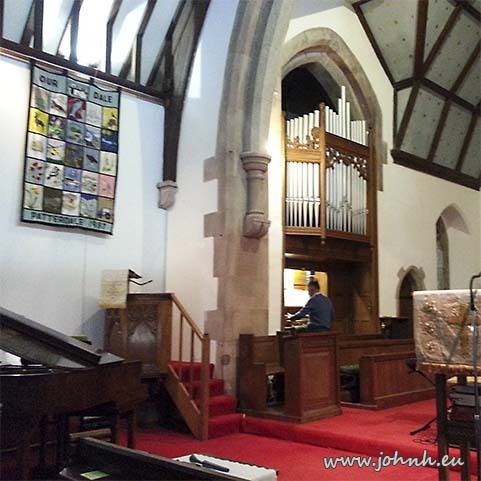 Patterdale “The local organist entertains” concerts have been running for a few summers now, featuring the William Hill organ, reinstalled and rebuilt in 1906 by Wilkinson and recently enlarged and rebuilt by Andrew Carter of Wakefield. Mike Town presented a programme with a summer feel for the first day of June. The brisk wind and driving rain outside was easily forgotten by the committed audience as the first chord of the 2015 series – starting an unchurchy circus style march by Dando – sounded on the stroke of the church clock. An accomplished and enthusiastic performance of a challenging programme to an attentive audience by the Doric Quartet at The Theatre by the Lake, Keswick as part of Keswick Music Society's season. An unexpectedly intense musical experience at the end of a day of hiking in the spring sunshine was both a surprise and a pleasure. BBC Radio3 was broadcasting the concert live, a first for Keswick, presumably made feasible by the recent arrival here of a fibre optic internet connections. 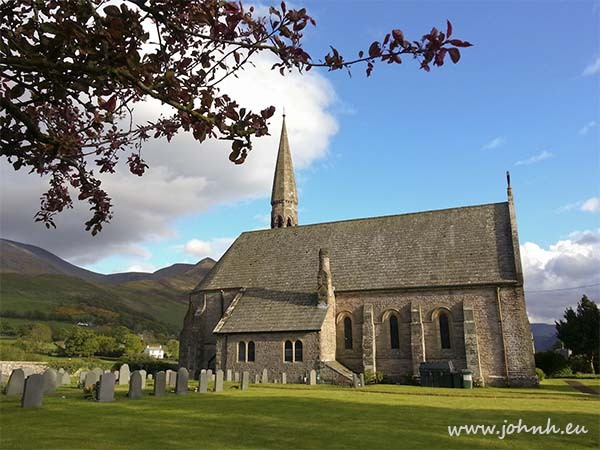 A full house for the opening concert of the 11th Bassenthwaite Festival at St, John’s Church. Bassenthwaite in Cumbria is a village at the foot of Skiddaw (931 m,) England’s fourth highest mountain. David Gibbs’ introductory remarks as Director introduced a festival programme featuring the work of just one composer, the British composer Henry Purcell (1659-95). This opening concert included a semi-staged performance of Purcell’s opera Dido and Aeneas, two odes and two instrumental pieces.